Mrs. Pam Pittman is the face of our INFINITI of Mobile parts department. She tells us her story about how she came to be a part of our organization and a bit about her family history. Known by many and loved by all, Mrs. Pam is shining face for our team and clients when they visit her at our INFINITI location. 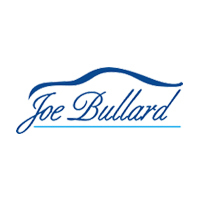 Roosevelt Harris is Joe Bullard What is Joe Bullard?